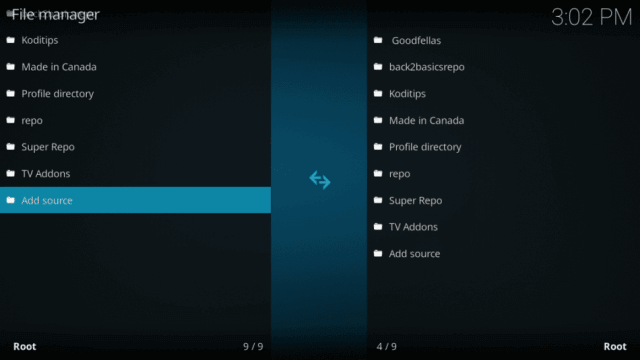 Genvideos Kodi Addon: Here we are with step by step guide on how to install Genvideos addon for Kodi on your device. This add-on is developed by Mucky Duck. So, without wasting a moment further, let’s get down to the business. 1. 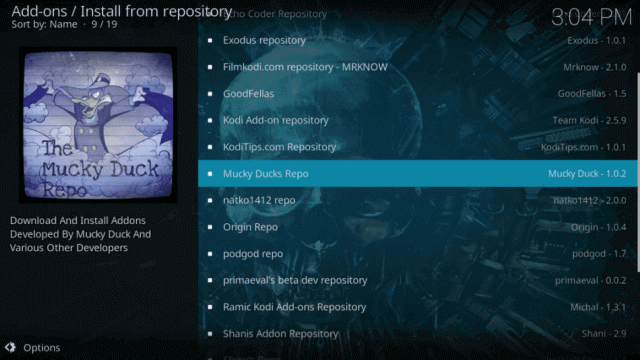 Add the repository through your Kodi addon file manager. 2. 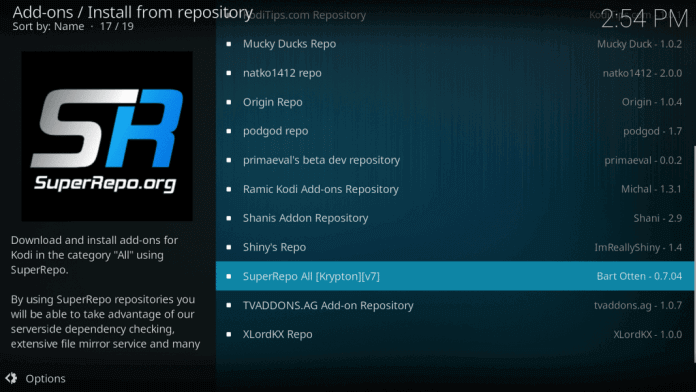 Add the repository through the SuperRepo super repository. 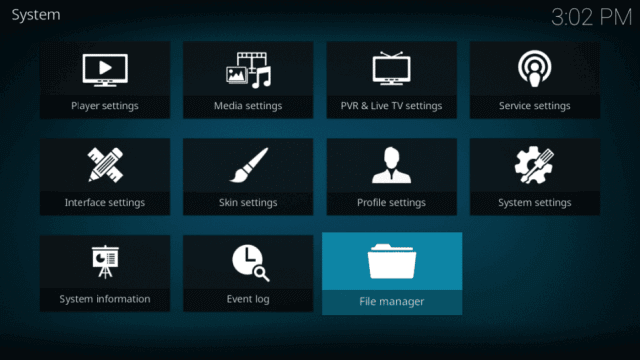 How To Install Genvideos Kodi Addon? 1 How To Install Genvideos Kodi Addon? *Note: This assumes you have SuperRepo installed. On the right screen, select Install from repository. You need to find Genvideos from the list and then click on it. Now, you will be asked to give a file name. Choose whatever you like. For this tutorial, we will consider the name Mucky. Click on Install from Zip. If you don’t see this option, click on ‘…’ until get you get the same. Now that you have got this addon on your device, its time that you find your favorite, plug in your earphones and grooooveeeee. 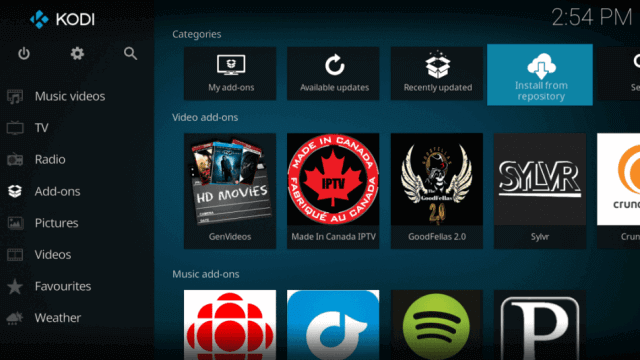 Related: Best Kodi Addons for movies, live tv, sports. But before this addon becomes your tool of the business, you ought to have a read at the review of our experts regarding this addon. 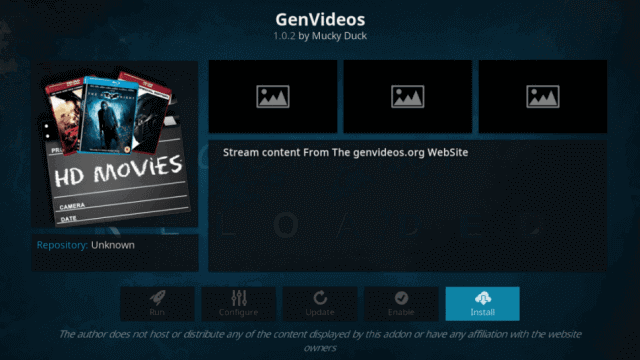 Genvideos is only available through MuckyDucky repo and it works great with high speed internet connection and a VPN. To be frank, this is not the best option available when it comes to the best kodi addons. Surely, far better options are available over the internet. But still, the very fact that we are publishing a full-fledged article on this one, makes it a point that it is worth a try. It offers a fairly limited collection of movies. The number of films available is very good, but you will feel lack especially in the case of foreign movies and documentaries. Related: Install Exodus Kodi Addon. Easy to navigate- everything relevant seems easily available. Option to browse by year- an organization in categories. Popular movies menu- keeps you updated on what’s in vogue. Also: Install Kodi on Android. Along with above features, its menu style is worth a mention. The movies are organized beautifully into different categories which make the browsing a piece of cake. The downside of this addon is its smaller library when compared to other options. Its not that you won’t find what you are looking for. This collection is big enough to satisfy general needs but you may find yourself in fix if you planned for a lesser known classic for the weekend. So, its better that you don’t come here with high hopes. It may become your “go-to” video streaming addon. See: Windows 10 No Audio. See: Game Guardian App Download. Stay tuned to TheReporterTimes for more information regarding Kodi addons.